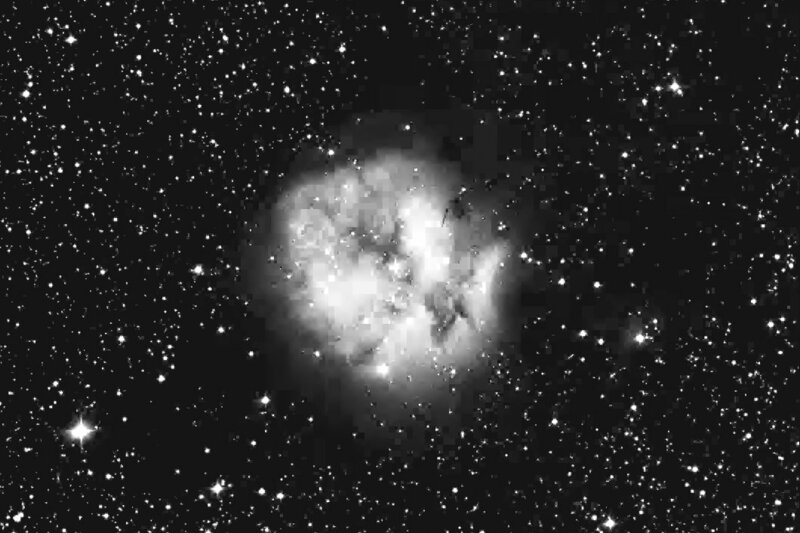 17.5: at 82x with Hß filter the Cocoon Nebula appears fairly bright, very large, about 10' diameter. Surrounds six stars including two bright mag 9 stars embedded near the center and at the S edge. Has an irregular round shape with a very irregular surface brightness with dark mottling and brighter regions. Quite prominent using Hß filter which has an excellent contast gain! Superimposed on a scattered star group. Located at the E end of long dark lane = B186 which extends 1° WNW! There is a distinctive edge to the milky way on the N edge of lane. Unusual as higher contrast gain with Hß than OIII filter.